A noble catch phrase from the Jockey Club. The once esteemed ruling body of racing. ‘All our profits go to racing.’ Needs work in my opinion. Far more appropriate ‘All our drink profits go to Racing’ – because THAT’s true. Amy Starkey, the publican in charge of Newmarket, today banned under 16’s from attending her Newmarket music nights. It’s little surprise as Newmarket has for years gone unpunished by the local authority and the regulatory BHA for a series of brawls taking place on its grounds. Who wants children to witness such behaviour? Cynically I’d add that families spend less than the gangs of young men and women Jockey Club target in their advertising. That’s what they are. Gangs. Racing has hit the tabloids three times in a few weeks. Incidents at Newmarket, Lingfield and even the smartest of the bunch, Ascot. We shouldn’t be headlining for these reasons. Let’s get this right. Children not welcomed. I don’t know about anyone else, but it was as a child I learned to appreciate this sport. What a disgraceful decision. I’m little surprised at the inactivity from the regulator here. They live below JCR in an incisidious arrangement far too unhealthy for the sport. There need to be distance between the BHA and those feeding from the pot. Someone needs to move out if independence of the regulator is to be respected fully. I’ve witnessed many brawls over the years on Jockey Club property. I’ve never once seen a senior executive or track manager come out to find out what the hell is going on. I wouldn’t want anyone out there to be in any doubt this body has gone well beyond the boundaries of decent behaviour as it seeks to prop up it’s creaking empire of tracks. It’s all about the dollar. Top events such as the Derby moved to Saturdays, in a shallow attempt to court the corporate dollar. We absolutely know the Derby would receive more worldwide exposure in it’s traditional Wednesday slot. The regulator should be empowered for such races to order what’s best for Racing, to include the removal of feature events from certain tracks, not pander to Jockey Club profits. What I see at Epsom these days are some of the worst excesses of alcohol abuse in any sport I’ve attended. Totally uncontrolled drink sales in every ring in the place. Let’s also not forget the environmental catastrophe left for our children created by a mountain of plastic beer beakers. Tens of millions of them every year to be disposed of somehow. Should tracks like Newmarket have their licenses suspended by the BHA, if not by local authorities? Absolutely, they should. It’s time for this regulator to step in and order a halt to behaviour which ostracizes traditional racegoers, members, children and pensioners from enjoyment of their racing experience. Give Newmarket a six month holiday and order it to behave. If you cannot produce a product fit for children to attend you need to give yourself a thorough shake. No use having a regulator more focused on giving novice jockeys ten bay bans, but ignoring far bigger evils is there? Every other sport has cleaned up their act. Racing sinks deeper into the sump. Racing isn’t about drink, it’s about the sport. Football doesn’t permit alcohol on its terraces. Why do we? What goes on on the green turf is what racetracks should be focussed upon. Not this shameful behaviour. 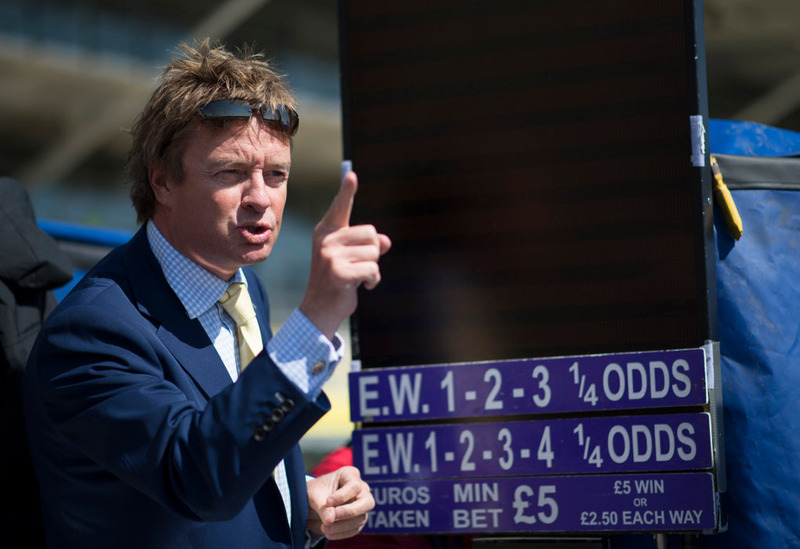 Next Next post: Champions Day – The Bookies view..